We promote conservation of our beaches, marine species and reef. Orient fishermen to dispose and recycle lines and other items. Get involve with local Surfer organizations, and other identities for ONE GOAL, To preserve our SEA LIFE FOR FOR KIDS!! 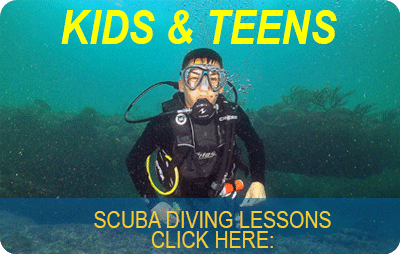 NEPTUNE’S DIVERS has a number of special scuba diving programs for kids** (including Mom and Dad, too) that are really fun, enjoyable, and exciting as you explore the adventurous underwater world. Scuba diving is a wonderful, safe and exciting adventure to give to your children and can be a great new family bonding experience that lasts a lifetime. You can train together and then include scuba diving into recreation with local trips and vacation travel destinations. For over 20 years, NEPTUNE’S DIVERS instructors have trained children and we carry the gear that is designed and sized to fit kids right to be comfortable, safe and easy to use. WHAT AGE CAN MY CHILD START SCUBA DIVING? Certified at 10 years old as Junior Open Water divers. This is more than a guideline, it is a hard rule. However, your child can start to learn about diving at any age. They can begin to swim and snorkel and perfect many of the skills that are used in scuba diving without even taking scuba lessons. Of course, all children must also met the medical standards that have been established. Regardless of the age rules, a parent and guardian would be realistic about their children’s ability and maturity to pay attention, listen and follow directions from their instructor. Additionally, while scuba diving is available to the vast majority of people of all sizes and shapes, a child must be a swimmer, and comfortable in the water.